San Mateo County District Attorney Steve Wagstaffe and inspectors in his bureau of investigation are looking into allegations of fraud at SamTrans after whistle blowers came forward to claim they were asked to make changes to financial records that they believed were illegal. In September, SamTrans admitted to making hundreds of thousands of dollars in financial errors by paying for expenses out of improper accounts. 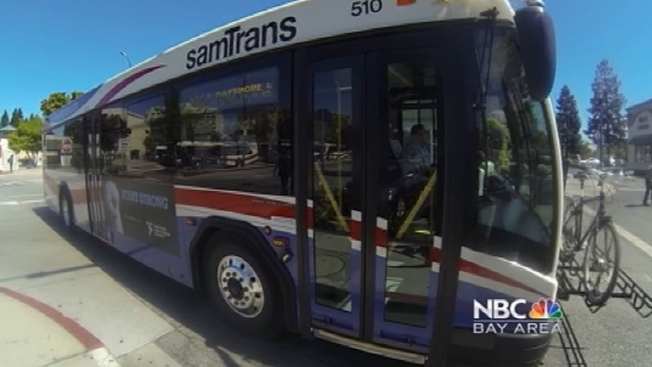 The agency called the errors honest mistakes, but former SamTrans accountant David Ramires told NBC Bay Area that he was instructed to make these and many other accounting errors as a way to artificially inflate expenses and hide where public money was being spent. Click here to see original report. Wagstaffe says two investigators in his office have begun an inquiry looking into allegations made by the whistle blowers, and are waiting for the results of an independent audit before determining whether to launch an investigation. SamTrans manages the budgets for Caltrain, SamTrans buses and the San Mateo County Transportation authority. The three agencies have a combined budget of nearly $500 million. Despite the allegations and “classification errors,” Bruce Jenkins, a longtime member of the Caltrain Citizens Advisory Committee, said he has he has full faith in the district’s leadership. “I hope it’s not valid. I feel that Caltrain is run very good,” Jenkins said, adding that he welcomes additional oversight into the district’s spending. SamTrans says it is fully cooperating with DA inspectors and has agreed to provide them with a copy of the findings by independent auditor Maze & Associates in December. Have a tip for the Investigative Unit? Email Vicky@NBCBayArea.com. You can also follow her on Twitter or connect on Facebook Call 888-996-TIPS (8477) or email the Unit at TheUnit@nbcbayarea.com.